XFR manufactures the best ATV aftermarket parts in the world! Extreme Fabrication Racing's Swing Arm Skid Plate is specifically designed for the (2001-2005) Yamaha Raptor 660 ATV. 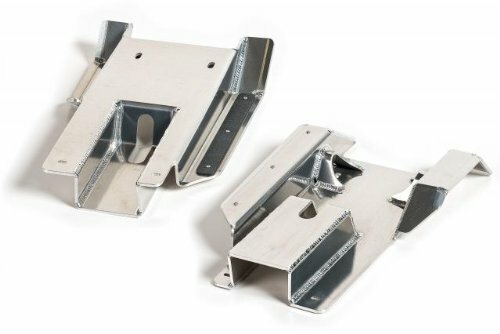 Extreme Fabrication Racings skid plates are 100% hand crafted and American made from high quality domestic aircraft grade aluminum to ensure superior strength and durability. Our skid plates ensure superior protection for your ATV's chain, rear sprocket and brake rotor from being damaged while riding over obstacles. They are manufactured from .190 thick heat treated 6061 brushed aluminum. Simple Bolt On Design-Made in the U.S.A.
View More In Skid Plates. If you have any questions about this product by XFR, contact us by completing and submitting the form below. If you are looking for a specif part number, please include it with your message. © 2019 - mercercountychoppers.com. All Rights Reserved.